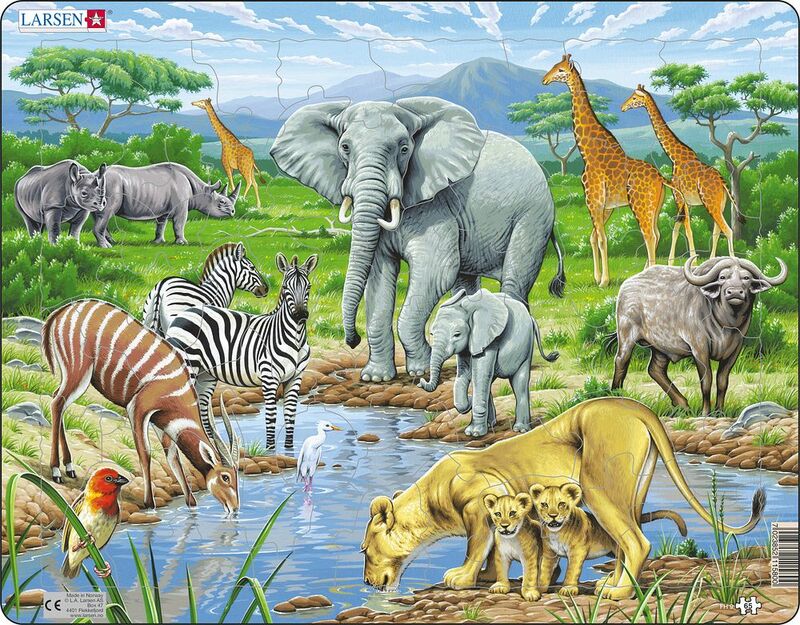 Help your child learn to identify different animal species of the African Savanna. All of the animals are gathered around a watering hole; quenching their thirst in the dry heat of the summer. Species included are Rhinos; giraffes; elephant with a child; zebras; buffalo; antelope and lion with cubs.